María Betzabe, 27 years old, from La Ceiba, Atlántida, Honduras. 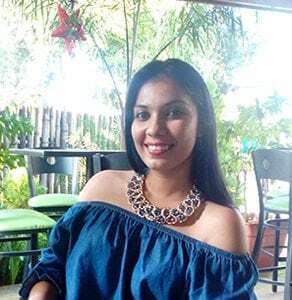 María Betzabe graduated with a Bachelor’s degree in nursing at the National Autonomous University of Honduras at the Regional University Center of the Atlantic Coast (CURLA) in 2016. She works at CEPROSAF as coordinator of the project “Aborting myths, prejudices and stigma in relation to the decriminalization of abortion by three causes”. She conducts trainings for hospital staff and health units, private and public nursing schools in La Ceiba and Tela. She works in the Atlántida General Hospital in the Labor and Delivery ward. She has participated in different medical brigades, medical congresses, nursing conferences at national level and international events with CLACAI. She is an adviser on HIV, and active member of the feminist group “SOMOS MUCHAS”, the movement “I DO NOT WANT TO BE VIOLATED”, and of “LA SOMBRILLA CENTROAMERICANA”.